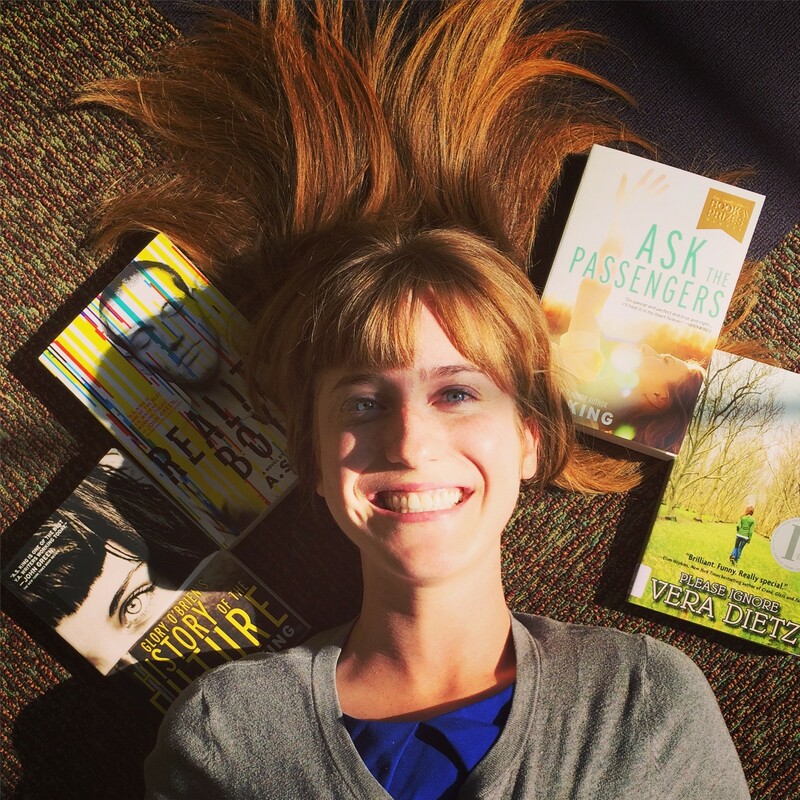 Did you know author A.S. King is coming to the library this fall? Her upcoming visit on Tuesday, November 10th has inspired me to complete the A.S. King Book Challenge (i.e. read all her books). After flying through Ask the Passengers, Glory O’Brien’s History of the Future, Everybody Sees the Ants, and Reality Boy, I can safely say that I haven’t been reading these books – I’ve been devouring them! With perfectly integrated magical realism and bomb resolutions, they are just that darn good. Realistic in well-developed characters and tone, King deploys a bit of magical realism in the majority of her books that helps convey characters’ emotions and plot points in a unique manner. In Glory O’Brien’s History of the Future, Glory discovers information about her family and members of the cult that live next door from getting glimpses into their futures after drinking a petrified bat. The other books include appearances from Socrates’ ghost and an army of anthropomorphic, sassy ants. These bizarre devices help build well-defined characters and settings in such a seamless manner that the reader may forget that Socrates’ ghost and sassy ants are not a common occurrence in our world. The magical realism will invest you into her characters’ wellbeing to the point that you’ll dread parting ways with your new fictional friends. Luckily, King is also a master at perfectly satisfying resolutions. While other authors may rely on a Hollywood blockbuster finale that explodes in the reader’s face, King’s endings seem to glide to a slow stop for a perfect landing. Astrid, from Ask the Passengers, and Lucky, from Everybody Sees the Ants, both struggle with an underlying life challenge. Astrid wants her family and community to give her the opportunity to discover and accept her sexuality. Lucky wants protection from a bully who humiliates him in some of the most egregious and nauseating scenes I’ve ever read in a YA book. Both books’ endings diverge from the assumed happy ending conclusions, and yet both end with such optimistic notes that I can now say I’ve experienced the ever allusive tears of joy. Magical realism and perfect resolutions are just the icing on the cake in King’s books. When you come to the library and head to the Ks in the teen fiction section, beware that just one King book will leave you craving for more. So grab an IPPL basket and a few tissues from the Ask Us desk, and cancel your weekend plans so that you too can complete the A.S. King Book Challenge! I grabbed this quirky graphic novel on a whim and was pleasantly surprised. 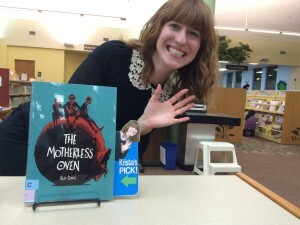 Rob Davis’ The Motherless Oven contains a story of friendship as three teens go on an adventure to solve the usual mysteries of life. Can someone escape their assigned death day? Where did Scarper’s robot father go? It was the world building in this book that intrigued me the most though. Why on earth does it rain knives instead of water? Read this on a day you are FEELING WEIRD. Or ready to feel weird. Or weirder than you already feel. 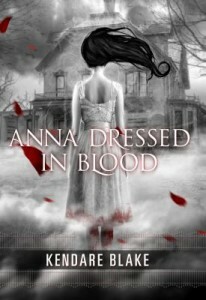 Kendare Blake’s Anna Dressed in Blood is THE dark, twisted romance story for fans of the television show Supernatural. I appreciated gruesome moments that made me both throw up in my mouth and say “aww” at the same time.